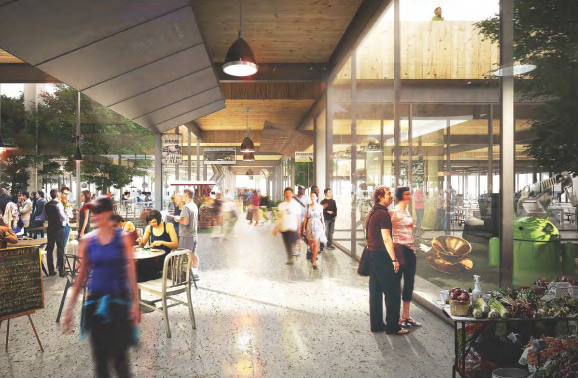 A newly released rendering of Google’s plans for an expanded campus near its headquarters in Mountain View, California. Apple may be building a jaw-dropping spaceship campus, but Google is dreaming of a new office that looks like a, um, large camping tent? 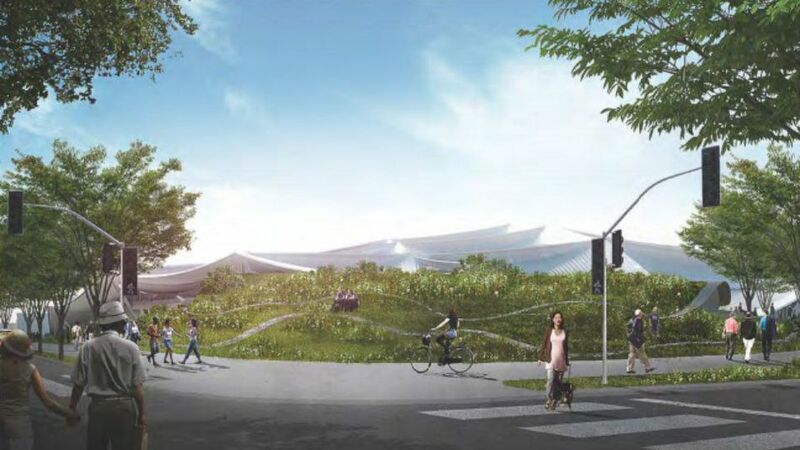 Google’s early mockups for an expanded campus space near its current headquarters in Mountain View, California were made public online this week by city officials — and the design is as quirky as the company itself. 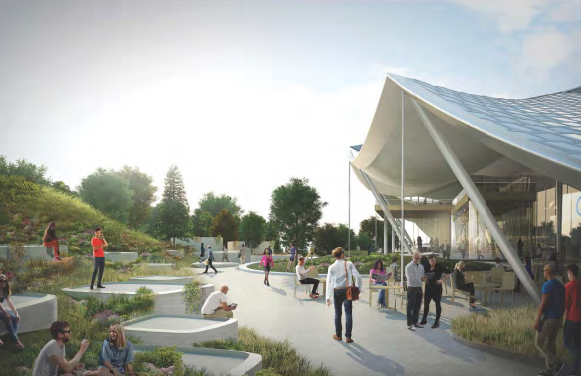 It basically looks like a giant, jagged circus tent propped up by slanted tent poles, which covers the campus and is said to generate renewable energy through solar power. 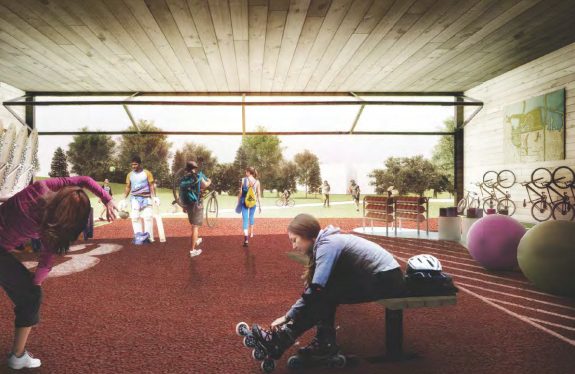 The new office space, expected to be nearly 600,000 square feet, would also include plenty of green space, dining areas and space for employees to bike and rollerblade around. 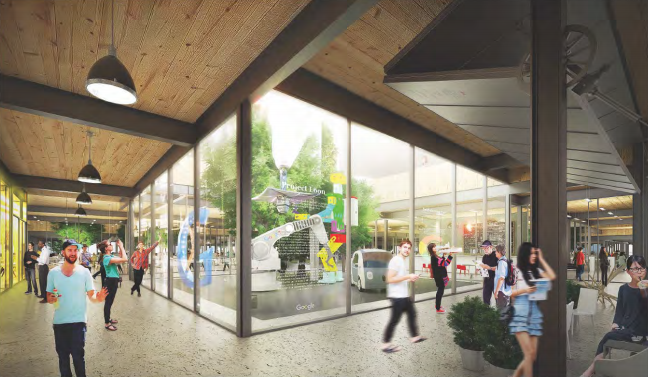 Google’s renderings for an expanded campus, first spotted by the Silicon Valley Business Journal, come at a time when fast-growing technology companies are in an arms race to build larger and ever more impressive office spaces to recruit and maintain talent. Facebook moved into a sprawling 430,000 square foot campus a year ago, complete with an impressive rooftop garden. Uber unveiled renderings for a new futurist headquarters made up of two adjoining transparent glass office buildings. And, of course, Apple continues to plug away at building its unfathomably big spaceship campus. Google originally had hoped to expand its office space throughout more of Mountain View, but the city blocked those plans last year. As Mashable reported early last year, some locals in the area also worried that Google’s limitless expansion would kick up real estate prices and push out other businesses.